LOCATION! LOCATION! 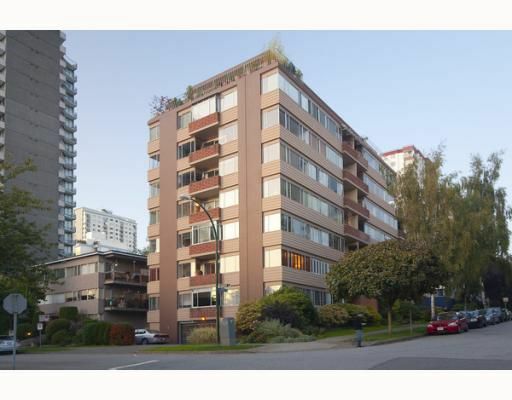 Full Sized One Bedroom Unit (620 sf) in the Ever Popular and Superbly Maintained DIANNE COURT Building. Steps from English Bay. You'll be Impressed with the Open Style Layout with Walkthrough Kitchen, DiningRoom and Large Living Room. The Suite Features Covered Deck off the Living Space with Ocean Glimpses, Perfect for your Morning Coffee & Paper. Other Highlights includes Original Long Board Top-Nailed Hardwood Floors, Crown Mouldings & Plenty of Beautiful Mid-Century Character. Close to Shopping, Transit, Restaurants & the Beach! Co-op requiring 35% down. Sorry, no pets or rentals. Heat and Hot Water included in Low Maintenance Fee. Parking Avail @ $25/month. OPEN HOUSE SUNDAY OCT 4 from 2 - 4!